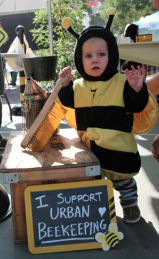 JOIN US SATURDAY 8/17 FOR NATIONAL HONEY BEE DAY @ 3rd Street Promenade, Santa Monica. Learn more here!! We are thrilled to announce the launch of the HoneyLove Forum! Just as the individual bee needs a community of bees to survive, the beekeeper needs a community of beekeepers for continued education and support. Whether you are just getting started as a new-bee and need mentorship, or you’re a multi-generation beek still learning new things and refining old techniques, you can benefit from the group’s collective intelligence through discussions, shared observations/experiments, and by simply being around others who share your passion. Learn more about how to join the HONEYLOVE FORUM here! 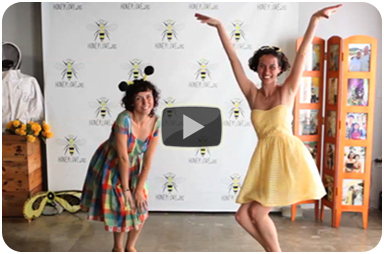 LEARN THE WAGGLE DANCE & perform it with us Saturday August 17th @2pm in Santa Monica (or wherever you live!!) for NATIONAL HONEY BEE DAY!! 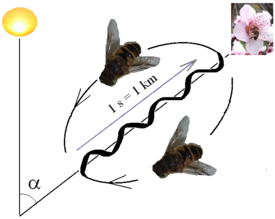 By performing this dance, successful foragers can share, with other members of the colony, information about the direction and distance to patches of flowers yielding nectar and pollen, to water sources, or to new housing locations." Last month we had another small victory! 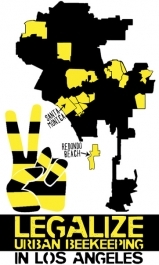 The Bel Air-Beverly Crest Neighborhood Council became the 15th NC to support our urban beekeeping motion for the city of LA! If you haven't done so yet, please send a quick EMAIL of support to our CITY COUNCIL! Sample email and address list here! Interested in becoming a HoneyLove Apprentice? Apply to the HoneyLove Apprenticeship Program at the link below! 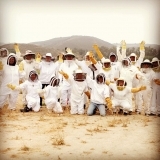 See some of the recent HONEYLOVE BUZZ! 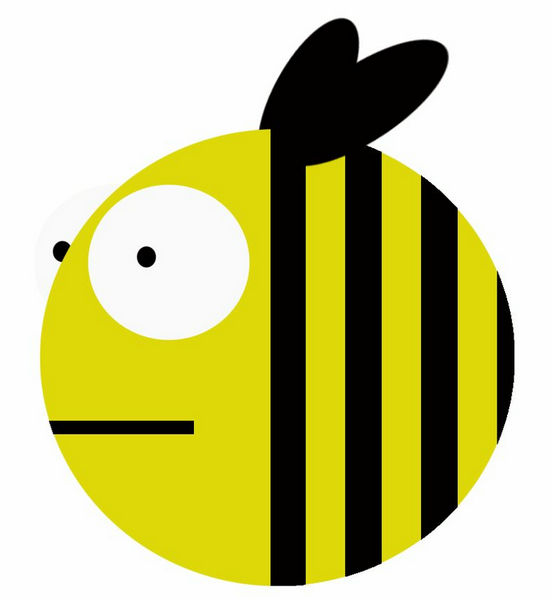 Sat 8/17: NATIONAL HONEY BEE DAY!! 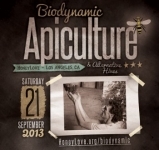 Sat 9/21: Biodynamic Apiculture & Alternative Hives ft. MICHAEL THIELE - Tickets on sale today!! 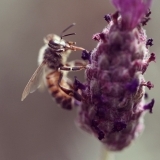 1-DAY SPECIAL WORKSHOP featuring Michael Thiele, founder of Gaia Bees, and co-founder of The Melissa Garden (one of the first Honey Bee Sanctuaries in the US, an innovative apiary and global resource center for biodynamic and holistic apiculture). Michael was also recently featured in the documentary Queen of the Sun. get 20% off—DISCOUNT TICKETS HERE! 1. JOIN HONEYLOVE! Purchase your annual MEMBERSHIP! 2. Plant an organic garden (with no pesticides). 3. Provide a water source for bees. 4. Put a swarm box in your garden. HoneyLove is a 501(c)3 tax exempt organization. Your donation is 100% tax-deductible. Copyright © 2013 HoneyLove, All rights reserved.